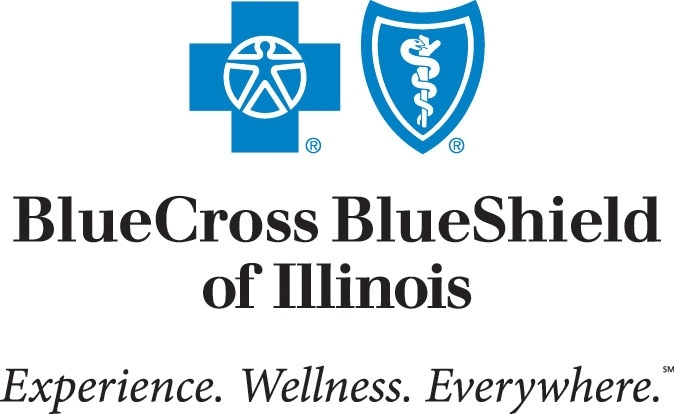 Back on August 1, 2017 the Chicago Tribune provided a preview of 2018 annual premium increase requests made by Blue Cross Blue Shield of Illinois for their 2018 individual health insurance plans. Then on October 12, 2017 the U.S. Health and Human Services Department issued a statement reconfirming that former president Barack Obama authorized CSR – “Cost Sharing Reduction” subsidies (which artificially reduce deductibles and co pays for those under 250% of FPL) illegally, unilaterally and unconstitutionally. As such, those subsidies were ended after a thorough review by HHS, the U.S. Treasury, the Office of Management and Budget, and an opinion from the U.S. Attorney General. Since the Surrender party in the U.S. Senate failed again to repeal and replace the PPACA a.k.a. Obamacare (after promising to do so for 7 years), Obamacare remains the law of the land. Because Obamacare is still the law, health insurers are still obligated to artificially reduce deductibles and co pays for those under 250% of Federal Poverty Level. So, someone still has to pay for these CSR “subsidies”. “Someone” is the 17 million Americans who purchase health insurance in the individual marketplace. The hope was that time would be allotted for congress to legally appropriate the $7 billion needed to continue CSR subsidies so that additional premium increases would not be levied on self employed consumers seeking individual health insurance coverage. In fact, Patty Murray and Lamar Alexander are working on such a piece of legislation now. Instead of waiting for congress to legally appropriate money to continue CSR subsidies, “Social Justice Warrior” Bruce Rauner (who recently became the first U.S. governor to initiate publicly funded abortions for all state employees and for all Medicaid recipients) wasted no time in taking swift action to “protect Obamacare” by directing health insurers offering individual health plans to attach a surcharge—on average 15 percent—to Silver health plan premiums. Silver health plans are the most popular health insurance plans available under Obamacare because they are the only health plans that consumers who (qualify) can receive federal subsidies for. So, what are the end results of Governor Rauner’s “side hustle” to protect Obamacare? 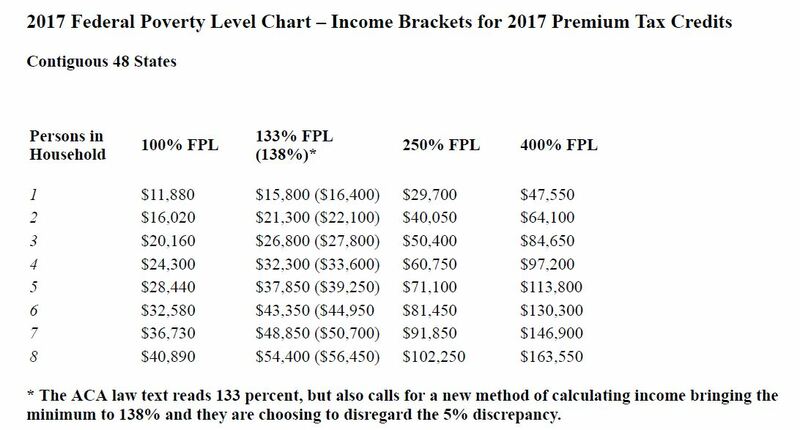 Below are the new 2018 approved health insurance premium increases released today via Healthcare.gov after they were “fundamentally transformed” by “Social Justice Warrior” Bruce Rauner. 5.4% for Blue Choice Preferred Silver PPO plans. Since the Blue Choice Preferred Silver PPO plan includes access to the last individual PPO network that Chicagoland consumers have left to purchase (since we only have three carriers left in Chicagoland that offer individual plans). And, the Blue Precision HMO Silver plan is the most popular individual HMO plan. This means that Illinois consumers who do not qualify for subsidies and have already received on average a 99% increase (and in many cases more than a 200% increase in their individual health insurance plan premiums since 2014) will now pay double the annual premium increases for the two most popular individual health plan options. Namely, the Blue Choice Preferred Silver PPO plan and Blue Precision Silver HMO plan. Obamacare remains anything but “affordable” and our elected “Republicans” are providing no assistance whatsoever. Click here > BCBSIL2017IndividualPlanRates < to see quotes for a 50 year old male in Will county, Illinois run with today’s effective date. Click here > Healthcare.govBCBSIL2018IndividualPlanRates < to see quotes for a 50 year old male in Will county, Illinois run with a January 1, 2018 effective date. It’s been a couple days now since the U.S. Senate released their discussion draft entitled the “Better Care Reconciliation Act of 2017“. And, we’ve all witnessed the predictable hyperbolic, nonsensical, fact-devoid, rhetoric from Democrat Senators like Chuck Schumer and Elizabeth Warren who rile up their base by stating “the Senate health care plan will KILL millions of Americans!” All I can do is Chuckle when I see claims like this because both Chuckles and Fauxcohontas were strident supporters of Obamacare. In fact, other than Barack Obama, I can’t think of two more strident supporters of his “signature legislation“. Yet, when Republicans attempt to adopt one of the key features of Obamacare (albeit on a larger scale) by offering block grant payments to states so that they can better manage their Medicaid population, we are told that this feature will “KILL millions of Americans“. What feature am I referring to? None other than “bundled payments” which were a key feature of the “Pioneer ACO” program under Obamacare. The CBO scores the American Health Care Act and gets it wrong again, really wrong. The CBO has a 24 year history of misleading the American people on health care policy. The latest example is their most recent assessment of the American Health Care Act which assumes incorrectly (again) that “23 million more people will be uninsured” by 2026 if we repeal and replace the PPACA (Obamacare). They believe this to be true in part because they believe repealing the individual mandate will lead to millions of people not purchasing health insurance because they would no longer face the threat of an IRS penalty for not doing so. To believe this requires one to ignore evidence, basic math and human nature. For example in 2015, the IRS reported that 6.5 million uninsured filers paid the penalty for not purchasing a “Qualified Health Plan”. 12.7 million more got an exemption from the penalty and an additional 4.2 million were scofflaws and simply ignored it. That equates to 23.4 million people out of an estimated 28.8 million uninsured. That does not prove that the individual mandate compelled these people to purchase health insurance. It simply reinforces what we know about basic math and human nature. If you understand basic math you understand that the cost of the IRS penalty for not purchasing health insurance (which is 2.5% of your AGI) is still much less expensive than the cost of actually purchasing health insurance. This is especially true since the cost of health insurance in the individual market has increased as high as 105% in some states and more than 200% in others since 2013. If you understand human nature you understand that when faced with a decision, especially an economic one, people will typically act in their own self-interest. What we predicted in 2009 remains true today. Because the penalty is much smaller than the cost of health insurance, millions will pay the penalty instead, or as recent evidence proves millions more don’t have to and millions more simply refuse to. So, assuming that repealing the individual mandate will lead to “23 million more people being uninsured by 2023” is a false premise. Repealing the individual mandate will do nothing but ensure that those who do not purchase health insurance already will simply no longer be required to pay a penalty to the IRS for continuing to remain uninsured. AHCA Medicaid reforms make the program more efficient and fair. In 1965 Medicaid was enacted under President Lyndon Baines Johnson. He signed into law Title XVIII and Title XIX of the Social Security Act. These acts in part provided states with the option of receiving federal funding for providing health care services to low income children, their caretaker relatives, the blind, and individuals with disabilities. Most Americans on both sides of the aisle still believe today that this segment of society should be properly cared for in a system that works fairly and equitably for all recipients. Obamacare massively expanded Medicaid to millions of single, able-bodied adults which not only exploded Medicaid costs (another prediction the CBO got wrong) but in doing so robbed finite resources from those whom the original Medicaid program were designed to help. Namely, those who cannot help themselves. Worse yet, the Obamacare Medicaid expansion population receives a 90% reimbursement rate whilst those who Medicaid was originally designed to help receive only a 50% to 75% reimbursement rate. And this doesn’t even address the billions our Medicaid system pays out to illegal immigrants. How is that fair and equitable? It is not. This is why the American Health Care Act REFORMS Medicaid by allow states the option to implement intelligent reforms like Indiana and Rhode Island already have and reforms Pennsylvania is trying to implement. The AHCA does not “repeal Medicaid expansion“. It simply ends this unfair reimbursement disparity between those who Medicaid was originally designed to help and those who were added to Medicaid under Obamacare. These reforms are desperately needed since only 20 to 40 cents of each Medicaid dollar actually goes towards patient’s welfare. Surely, we can do better. The American Health Care Act is a good start if we can get the U.S. Senate to pass it. We are rapidly running out of time. H.H.S. director Dr. Tom Price continues implementing “Phase 2” of the American Health Care Act even before it passes the U.S. Senate. You know, that “Phase 2” that so many naysayers said would “never happen“. Yeah, that one. Dr. Price is allowing any state who wants a 1332 waiver to apply for one now, even before the American Health Care Act is voted on in the U.S. Senate. 1332 waivers allow states to implement risk mitigation programs like high risk pools so consumers experience immediate premium reduction. The state of Alaska used a 1332 waiver last year to create their own high risk health insurance pool and saw premium reductions of 33% in their individual health insurance marketplace. A 33% premium decrease is a much better outlook for 2018 than yet another double digit premium increase that states like Virginia, Maryland and Connecticut are facing for 2018 right now, some as high as 60%! Why so high? Because the PPACA (Obamacare) destroyed healthy competition by causing 83 health insurers to leave the marketplace last year. This has left states like Virginia with only two health insurers left and states like Iowa with only one carrier left and possibly no carrier for 2018 if Medica follows through on their threat to throw in the towel after losing $100 million under Obamacare. My home state of Illinois just lost one of only four insurers left that offer individual products when Harken Health called it quits this week after losing $64 million just last year. Last month, Dr. Price and our new C.M.S. director Seema Veerma stopped the reckless practice of Healthcare gov jet issuing policies to Special Enrollment applicants who claimed a ‘loss of income’ without requiring any proof that they actually did lose income before issuing the policy. Now, these Special Enrollment applicants have to prove a ‘loss of income’ before they get a policy. This action alone by Dr. Price and Seema Veerma stopped consumers from attempting to “game the system” by waiting to buy a health plan until they have scheduled medical treatment and then canceling that health plan shortly thereafter which drives up premiums for everyone. Maybe, just maybe U.S. Senators can take a lesson from Dr. Price and Seema Veerma’s work ethic and pass the American Health Care Act now. Why now? Because health insurers are required to submit their 2018 plans and premium rates for review by C.M.S. no LATER than June 21, 2017. Time is of the essence here if consumers want to experience premium relief and desperately needed restoration of competition in the individual marketplace before the next open enrollment period begins on Nov. 1, 2017.